Due to the high cost of regenerating the mixed bed, the plant decided to reconsider using an electrodeionization unit. QUA’s FEDI was chosen for Brazos’s permanent EDI solution and was commissioned in 2010. 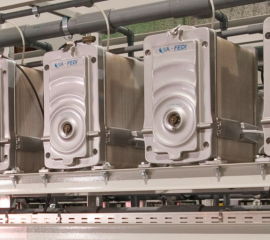 The FEDI system comprises of 2 trains of 10 dual voltage FEDI stacks rated for 165 gpm each. Brazos selected the QUA FEDI because of its unique patented process with reduced or no scaling due to a dual voltage design. 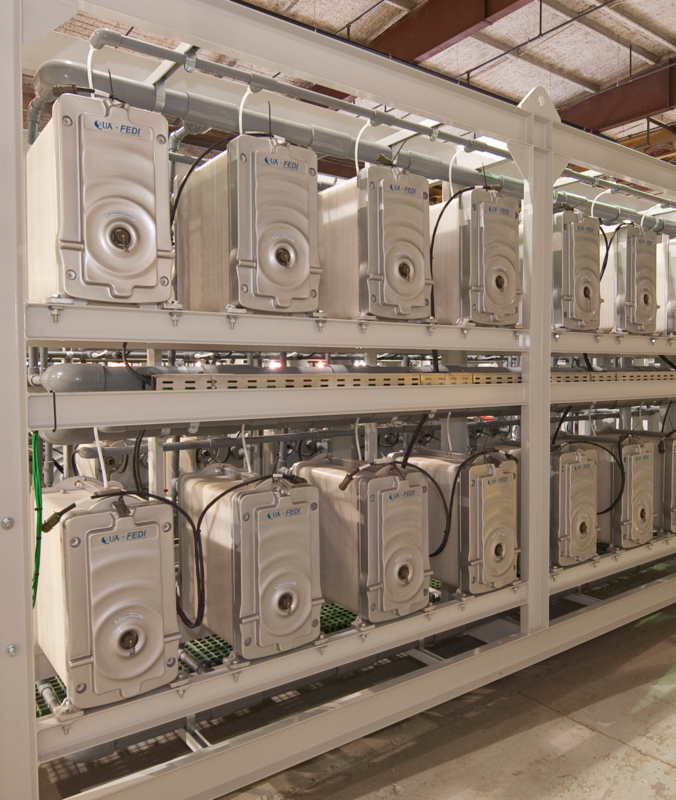 The dual voltage allows for a higher flexibility and tolerance to inlet water conditions, lowering the risk of hardness scaling, and improving the plant’s design economics and reliability. 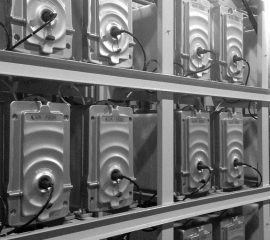 Additionally, it optimizes power consumption and reliability since the high voltage is only used when needed in the silica removal zone of the unit. 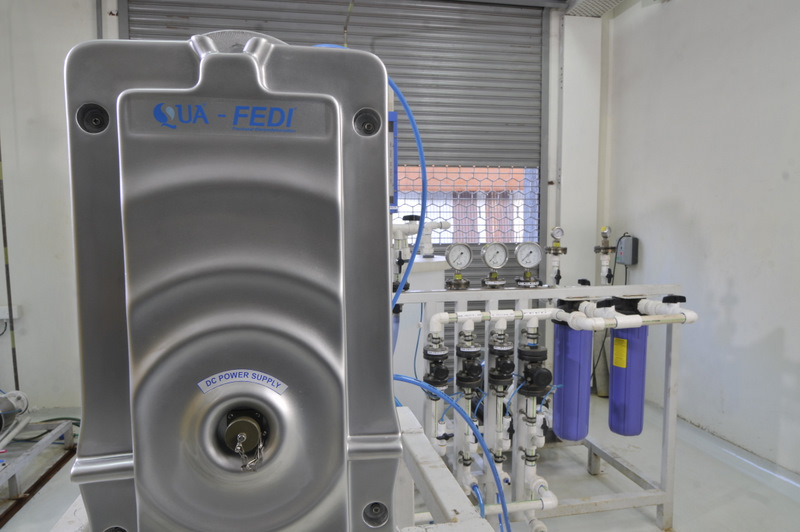 The FEDI system’s treated water quality is consistently in the range of 0.055‐0.06 μS/cm and contains less than 10 ppb of silica. These results exceeded the customer’s specifications. 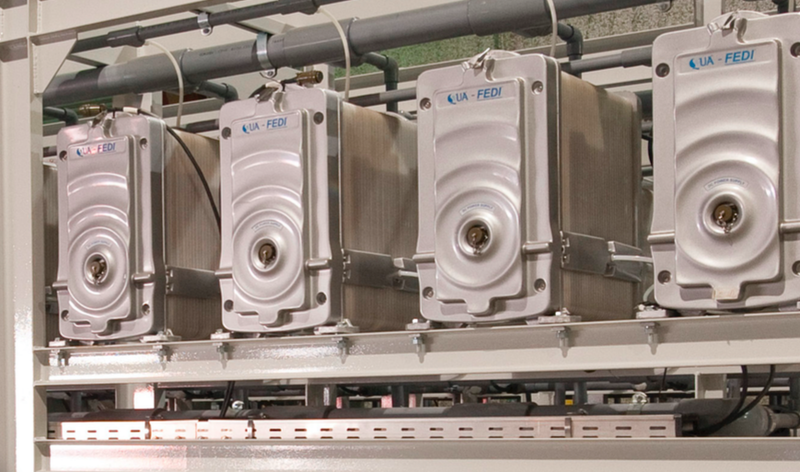 Due to FEDI’s unique dual voltage design, periodic cleanings are not required and the system is able to continuously meet these requirements. Graphs 1 and 2 show the silica removal performance and product conductivity respectively. 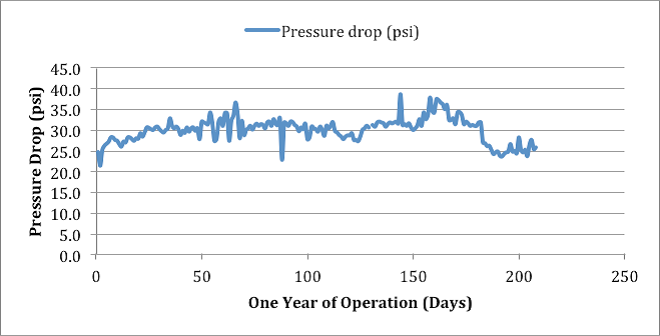 Graph 3 shows a constant pressure drop across the FEDI over a year. This data confirms that no fouling is occurring inside the FEDI and thus no chemical cleaning was warranted. 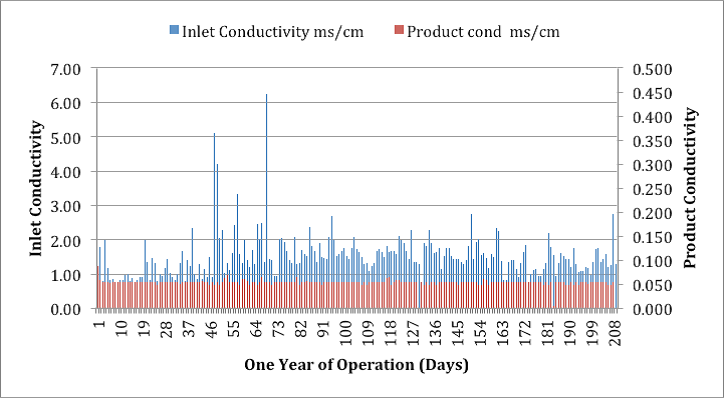 Although this data reflects a year of successful operation, the plant has been consistently and successfully operating within its parameters since commissioned. QUA is an innovator of advanced membrane technologies that manufactures and markets filtration products to address the most demanding water challenges. Headquartered in the USA, QUA’s enables its OEM partners to provide cutting-edge systems and solutions to end users in industrial and infrastructure markets throughout North America and worldwide. Committed to ongoing innovation, QUA manages the entire lifecycle and manufacturing chain of its products. 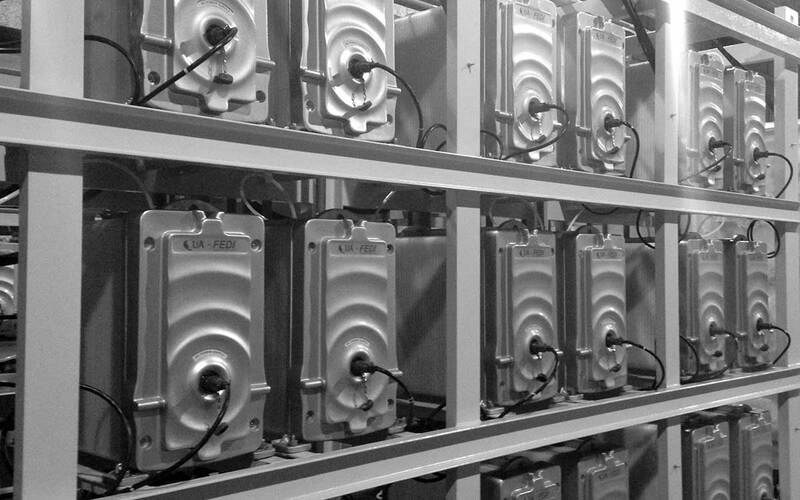 From the initial concept, to manufacturing with rigorous standards, QUA’s products are developed in a state-ofthe-art facility with continuous monitoring. 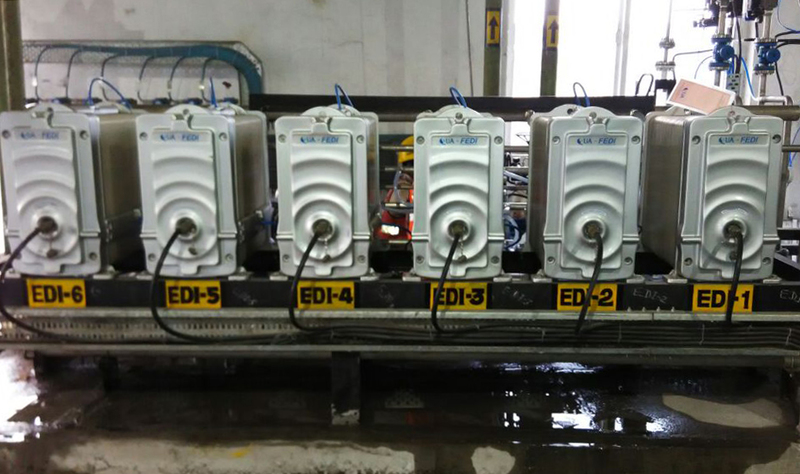 Electrodeionization (EDI) is continuous, chemical-free process that removes ionized and ionizable impurities from the feed water using DC power. 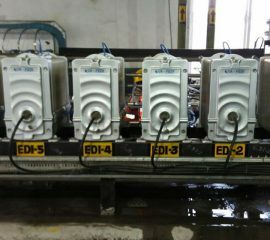 EDI is most commonly used to treat Reverse Osmosis (RO) permeate and replace Mixed Bed (MB) ion exchange; producing high purity water of up to 18 MΩ.cm. EDI eliminates the need to store and handle hazardous chemicals required for MB ion exchange resin regeneration and associated waste neutralization steps. Fractional Electrodeionization (FEDI) is an advancement of EDI technology that was developed to address the limitations of conventional EDI. EDI is a patented two stage process that operates in a dual voltage configuration to reduce hardness scaling that may occur in conventional EDI. 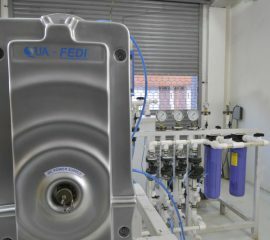 FEDI’s unique design maintains an acidic condition in the first stage and basic condition in the second stage of the EDI concentrate chamber. This patented design reduces mineral scaling in the first stage and enhances silica removal in the second stage.